Game Park Big 5 Project and Par-time Child care Project. Do you want to see Africa's Big Five Animals whilst staying in a luxury Style African resort? Then this is the perfect Project for you. “Game Reserve Project... The Place of Gathering’’! The Game park Project and volunteer Program is designed to offer volunteers the opportunity to get involved in all conservation related projects within the reserve. During your stay at the Game Park you can get involved in every aspect of hands-on conservation management on the reserve, you will learn many conservation skills and how to work within the Game park environment. This is also your chance to have the experience of a lifetime whilst working with the BIG 5 ANIMALS OF SOUTH AFRICA. Working with the animals is a true Pleasure. You will get to drive in open Safari trucks whilst seeing: the Zebra, Lion, cheetah, elephant, Buck and lots of wild life of South Africa has to offer and experience living modern African life-style in Lovely accommodation. This project is world re-known for its amazing 5 star Hotel (and 5 star dorm style accommodation) and great quality service (whilst volunteering) and adding back your time. To top it all off, we have a brilliant community outreach program (that runs in school terms only), working with children Par-time. Our volunteers assist at a local rural farm school by providing food prepared by our chefs during school periods. You are welcome to Pray with the children or prepare a lesson for them. Please let the staff know prior to departure if you have something planned for the children. As a volunteer, You will also gain experience working at the rehabilitation Center working with Lion Cubs, Cheetahs and many other animals that have been captured from sickness in the wild. While getting involved in every aspect of hands-on conservation management on the reserve, you will learn many conservation skills and have the experience of a lifetime. To top it all off, we have a brilliant community outreach programe. Our volunteers assist at a local rural farm school by providing food prepared by our chefs during school periods. Come and make a real difference whilst having the experience of a life time. Volunteer programs begin on every Monday of each week and end on Every Sunday of each week. Volunteers can choose from 2 week to 24 weeks. Free hotel quality Meals 3 meals per day (Buffet Style). Free pick up and drop off in Port-Elizabeth on arrival and departure. Orientation to the Game park on arrival. Accommodation in 5 star dorm style Beds. Supervision From an experienced Game Park Ranger. Free use of the entertainment area. Free use of the swimming pool and out door areas. Free transport to the Child care Center (scheduled transport). 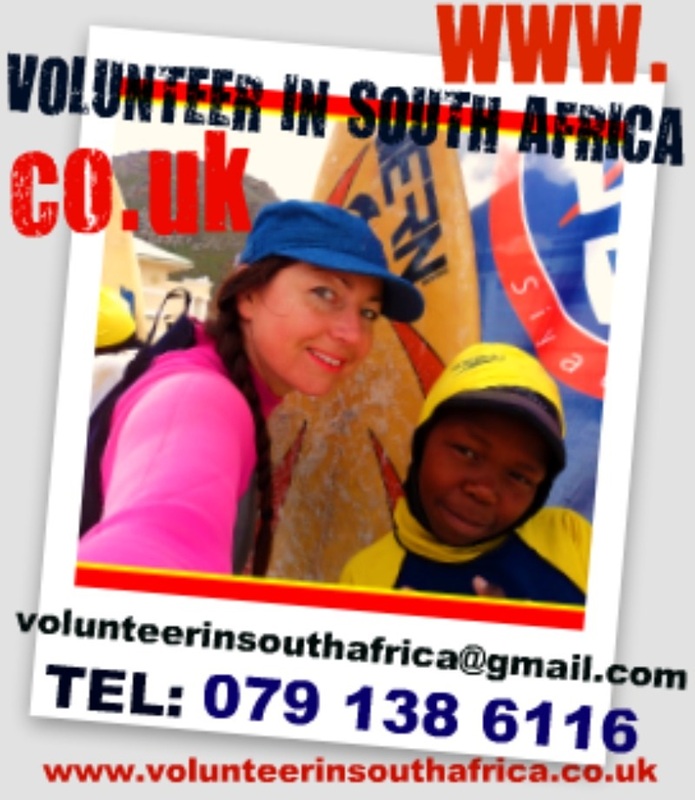 Volunteer orientation pack which includes essential volunteer information about the Game Park. 1 Free scheduled Weekend excursion up to the see the Beautiful Port-elizabeth. *excludes flights, travel insurance and visas (You will get a Free 90 day visitors visa free of charge on entering the country). To Sign up with us, click on the Yellow application form link above. Once your application form has been approved, then there is a once off Registration fee to reserve your place with us of $260. ( A percentage of these fees are donated as charity to the community ). Registration Fee to reserve your place with us includes – Web-design Costs, Program marketing costs, administration costs, Volunteer in Sa fund, and communication costs with volunteers. Volunteer Program Fee Includes – Airport pick up/ return delivery (Please en-sure your flight arrives before 5pm on a Monday (into Port-elizabeth airport) for the free pick-up Service, free drop off is on a Sunday), orientation, program supervision, accommodation in Spacious and neat Dorms (5 star Hotel quality), Meals (Buffet style), free use of Bicycles, Swimming pool use, Free wi-fire, free entertainment room and pool Table, Tv Screens, Free drinking water, a Free weekend scheduled excursion to see the Garden route on a Saturday before Sundays departure drop off, in-country administration costs and staff fees. Visa (you will get a free 90 day visa on entry to South Africa free of Charge if you hold a : Uk, Usa, Australian Or Europe Passport). All volunteers should visit either their personal physician or a travel health clinic 4-8 weeks before departure, we recommend a tetanus injection. There is No malaria at the Game park. Mobile phone / internet charges. A variety of mobile network carriers provide good coverage for both mobile phones as well as internet facilities. It is normally more cost effective to locally purchase pay-as-you-go air-time and data bundles compared to roaming options. Wattsapp and Viber do work in South Africa. You can get roaming before you depart from your country if you want to be able to your phone here. We do have free wi-fi at the Game park so you can connect to the wi-fi with your phone too.